Wouldn’t it be good if water had one set of properties when we want to drink it but a different set of properties when a person was drowning and needed to breathe water? 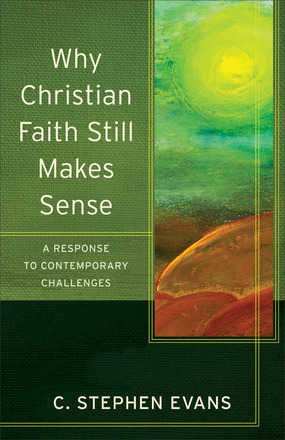 This is a question posed by C. Stephen Evans in Why Christian Faith Still Makes Sense: A Response to Contemporary Challenges (p 70). It raises an important consideration when thinking about why God permits evil and suffering. Evans astutely observes that “it is far from obvious that a world without natural laws would be a better world than ours” (p 70) and rightly insists that our epistemic limitations for “universe making” are so great that we can never know how our situation might improve. In fact, if just one law was altered so as to prevent evil and suffering, we could hardly know the effect of that change upon an entire system of laws that “form an interconnected whole” (p 71). The sheer magnitude of epistemic difference between a parent and child is sufficient to grasp this principle. A parent who knows the dangers of potentially life-threatening diseases vaccinates a child who knows only the pain of a needle (p 71). How much greater is the gap between an infinite mind and the finite mind of a human!? It is in fact this line of reasoning that God uses in response to Job’s soliloquy and exchange with his “friends”. Essentially, God rebukes Job for assuming that he knows better. “How dare you,” God says, “that you think you can figure out my plan and my purposes for you!” (my rendering). And so begins a litany of rhetorical questions, full of sarcasm and contempt, that God puts to Job showing the limitations and out-right ignorance of what is really going on. The only response Job has is the right one: silence (Job 40:3-5). While I believe he started out with the right theology (Job 1:21), the more Job and his friends sought answers the further away from the truth they traveled. Our concerns over the goodness of God in the face of evil are legitimate and our questions deserve answers. They must be taken seriously. Too often Christianity says to those with honest questions in effect “Shut up and submit to God.” But this is the way of Islam, not Christianity. However, there is some kernel of truth here; we must humbly admit that perspective is everything. We simply do not nor will we ever have the vantage point that God does on how every event is woven together to compose the final picture. Only God knows the end from the beginning and this raw fact alone should make our pronouncements about tragic events tenuous. We would do well to recall Job’s lesson. Neither does Scripture turn a blind eye to these kinds of questions. “Again I looked and saw all the oppression that was taking place under the sun: I saw the tears of the oppressed—and they have no comforter; power was on the side of their oppressors—and they have no comforter” (Ecc 4:1). In fact, the entire biblical storyline is important to remember. After the first two chapters of the Bible (Gen 1-2), all hell breaks loose. It’s not until the last two chapters of Holy Writ (Rev 21-22) that we find evil defeated. The weight of Scripture radically affirms the presence and power of evil in this world. The reality is that we live in that time between Gen 2 and before Rev 21. 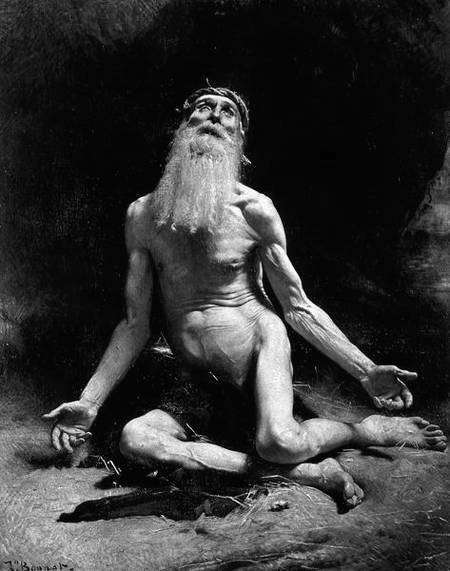 Note too that the book of Job essentially follows the same pattern (chapter 1 = all is well; chapters 3-37 = hellish inflictions and inadequate reflections; chapters 38-42 = God steps in and sets the record straight). And so, it follows that the Christian faith does deal objectively with the reality of pain and evil and Scripture admits there is some mystery involved regarding why God permits evil rather than prevents it. The mystery, mind you, is on our part and not on God’s. If indeed God is a) omniscient and knows precisely what he’s doing and b) God is good permitting only what will, in the end, bring about the optimal amount of good from every event, and c) he is able to bring about the end from the beginning, then it follows that d) God is meticulously discharging his will in this universe, one second and one event at a time. Why is it important to embrace the fact that we do not know why God permits suffering and evil? Because, as Dallas Willard has written (p 119), it helps us avoid a narcissistic tendency to believe that God would always eliminate pain and suffering for his creatures. Moreover, it helps us entertain the possibility that evil does serve some greater purpose outside my understanding. Rather than impugning the character of God and denying his goodness, it could very well be because God is good that he permits pain and suffering. That is, God, in his mysterious plan, allows evil as a means of showing us just how much he loves us by permitting conditions for moral improvement. Meanwhile, we must not obscure God’s plans using “words without knowledge.” Instead we embrace our limitations and our God who not only knows but deeply cares about the problem of evil. He has not just told us in words, but demonstrated his love to us by his actions. “God not only tells us that he is loving and that our sufferings have a point; he also shows us this is true by sharing in our sufferings” (Evans, p 73). God has provided the definitive solution to the problem of evil in the birth, life, death, resurrection, and ascension of his Son who, someday, will appear to set all things right and fill all things with his presence.